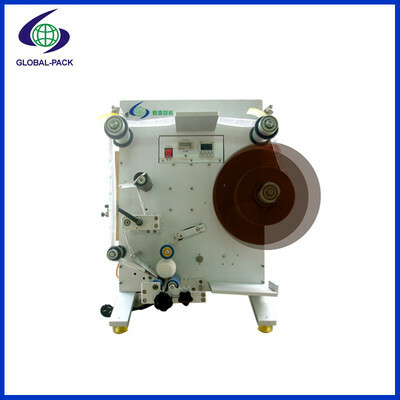 Semi automatic round bottles labeling machine GLB-130 - SHENZHEN GLOBAL PACK CO., LTD.
1. Application: Label stick for round bottle, cylindrical or conicalobjects. 1) PLCcontrol system and reliable and durable “SICK” specific electrical eye tracinglabel.